MANILA/BEIJING (Reuters) – Chinese steelmakers are seeking new export destinations in Africa and South America as shipments to their biggest overseas buyers in Southeast Asia fall by double digits, with new U.S. trade actions threatening to kill off some markets entirely. China, the world’s largest maker, consumer and exporter of steel, is finding it has fewer export options. Washington last week imposed hefty tariffs on major steel exporters to the United States – Canada, Mexico and the European Union – prompting retaliatory measures. The global tariffs Washington kicked off in March were mainly aimed at curbing Chinese steel imports, which U.S. steelmakers also believe are being routed through other countries before landing in the United States. Last month, the U.S. Commerce Department slapped heavy import duties on steel products from Vietnam it says originated in China, hitting China’s No. 2 export market after South Korea, and a major outlet for sales by Chinese mills that own warehouses in Vietnam. Vietnam said its steel companies would likely stop buying the metal from China to avoid having their shipments to the United States penalized. “It is increasingly apparent that export opportunities for Chinese producers are becoming increasingly limited, owing to existing trade legislation, lodged by many parts of the world,” said Chris Jackson, analyst at UK-based steel consultancy MEPS International Ltd. While China’s steel exports hit an eight-month high in April, shipments for the first four months of the year dropped by 20 percent, although falling only 2.5 percent in value. Shipments to China’s top markets, including Vietnam and South Korea, have dropped by double digits since last year, reflecting stiffer competition from other suppliers like Russia. Anti-dumping duties imposed by Southeast Asian buyers like Thailand, Vietnam, Indonesia and Malaysia on Chinese steel exports have also slowed shipments from Beijing. “The Southeast Asian market is getting crowded. More and more people are seeking to find new markets, especially in South American and African countries,” said Steven Yue, sales manager at Hebei Huayang Pipeline Co, a Chinese exporter of steel pipes. South America and Africa accounted for a combined 8 percent of China’s steel exports last year, and shipments to some nations there have surged this year. Southeast Asia accounted for a quarter of China’s exports last year, but were down 45 percent from the year before, and slipped by a third in the first quarter of 2018, according to data tracked by MEPS. Exports to Nigeria, Africa’s biggest economy and the continent’s top buyer of Chinese steel, rose 15 percent in the first quarter, and shipments to Algeria, the fourth-largest economy, nearly tripled. In South America, Chinese shipments to Brazil jumped 40 percent and climbed almost tenfold to Bolivia. Compared to Asia, there are fewer nations in Africa and South America with anti-dumping duties and safeguard measures against Chinese steel products, including Brazil, Colombia, Chile and South Africa, based on World Trade Organization data. As Chinese exporters venture deeper into the new markets, they could clash with home-grown suppliers, such as in Brazil, or with sellers from Russia and elsewhere. China’s steel exports have fallen from a record 112.4 million tonnes in 2015 to 75.4 million tonnes last year, as a Beijing-led infrastructure drive boosted domestic demand. “If steel exports went down again this year, then steel products would flow to the domestic market and that would worsen the situation of our own market,” CISA said last month. China’s direct steel exports to the United States account for less than 1 percent of total shipments, but Washington is making Chinese-produced steel more costly in America via steep import duties on steel from Vietnam that originated in China. 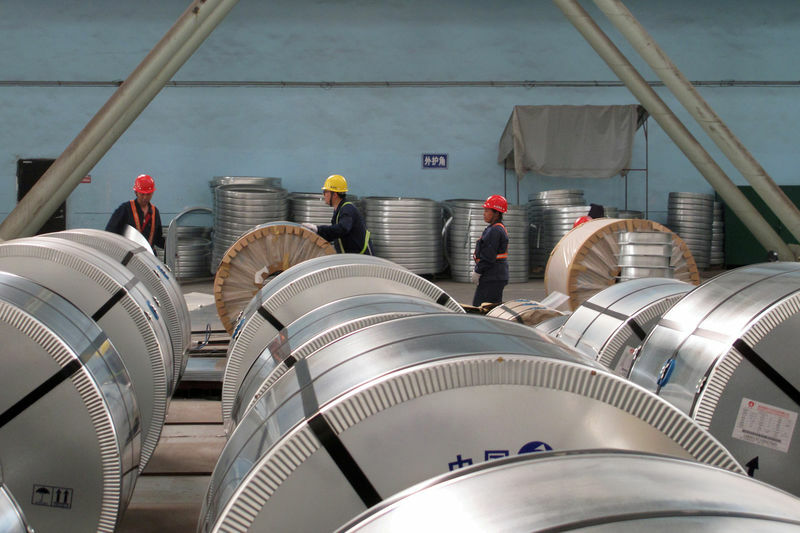 To avoid the U.S. anti-dumping duties, most Vietnamese steel companies – which mainly buy hot-rolled coil steel (HRC) from China – will likely stop importing HRC from Beijing, said Chu Duc Khai, vice chairman of the Vietnam Steel Association. Vietnam exported 4.7 million tonnes of steel last year, with nearly 60 percent going to Southeast Asia and around 11 percent shipped to the United States. Taiwanese conglomerate Formosa Plastics Group’s new steel plant in Vietnam also began producing HRC in June last year, said Khai, cutting Hanoi’s need to buy from China. The growing steel capacity in Southeast Asia, including Vietnam, Indonesia and Malaysia, will eventually pare demand for imports, said CRU analyst Alex Zhirui Ji. “Many friends of mine have turned to do business with African countries since they have bigger potential with bigger demand,” said a steel trader and exporter based in China’s top steelmaking city of Tangshan.